Greece is more than islands and beaches, and Thessaloniki is great prove of it. This city is a unique combination of ancient history and modernism. You will learn what to do in Thessaloniki with its eclectic culture of Greek, Armenian, Ottoman and Jewish traditions revealed on every corner. The sights, the architecture, and the food are testaments of all the great empires that have influenced the way locals live today. Continue reading to know what to do in Thessaloniki on one day and make the best out of your visit. Thessaloniki has a lot to offer so you probably need more than one day to enjoy it fully. However, if you are in Central Macedonia’s capital for only a day, you can still explore the highlights of this city. Learn where to go, where to eat, what to do and where to stay with this comprehensive guide. The White Tower is probably the most iconic landmark of Thessaloniki. Ottomans built the tower in the early 16th century as a replacement of an old Byzantine fortification. This way, they could strengthen the city’s harbor. Its past is quite dark as it was a place for execution and torture to traitors. As a result, the locals used to call it “The Red Tower” or “Tower of Blood”. Still during the Ottoman rule around 1890, they stopped using the tower as a prison and there were efforts to modernize that area. Also, a Jewish prisoner called Nathan Guidili whitewashed the tower. This act gained him his freedom. The white has faded since, but the name remains. Currently, you can visit a museum and exhibition inside the tower. You can as well climb it to the top to get a nice view of the city. The Aristotelous Square is the main square of Thessaloniki. You can enjoy a very eclectic view from there, as it combines elements from Byzantine and Western architecture. In addition, it is right in front of the sea, so you can even spot the Mount Olympus when the sky is clear. Major social and political events take place in the square. Locals attend large rallies and political debates here. They also organize their festivals, carnivals and Christmas celebrations in Aristotelous Square. It is an important tourist attraction but also attracts many young locals because the square has many cafes and bars. This is a large promenade that goes from the Port and to the Thessaloniki Concert Hall. Stroll along the seaside to get a view of the beautiful architecture that Thessaloniki has to offer. You’ll come across a famous sculpture of Alexander the Great in his horse, the Royal Theater, an artistic set up with Umbrellas by George Zoggolopoulos (a Greek sculptor), and thematic gardens. Thessaloniki is full of Roman structures and the Arch of Galerius is one of the most recognizable in the city. Built during the early 4th century, it was part of an imperial precinct connected to the Emperor’s palace. Most of the monument has disappeared but some of it keeps standing in the middle of the modern city, reminding us of old times. If you observe closely, you’ll see many stories carved on the arch. For example, the clearest figures are a representation of Galerius’ victory over the Sassanid king. The Rotunda is very close to the Arch of Galerius. They were both parts of the same complex connected to the emperor’s palace. Romans built it after Thessaloniki became one of the four capitals of the Roman tetrarchy. It is a massive construction and very interesting to see. It still preserves some mosaics from the time it was a Christian church. Ottomans converted it into a mosque in 1590, but in 1912 the government reinstated it as a church. The minaret is still standing though. The entrance fee is only 1 euro, so there is really no excuse to miss this wonderful structure! This famous church is listed as UNESCO World Heritage. Protospatharios Christophoros and his family built the church in the year 1028, in replacement of a pagan temple of worship. Another particularity of the Church of the Panagia Chalkeon is that it has now sunk below the level of the city. This is probably because of earth deposits laid down after the big fire of 1917. There is a lot of interest for the painted decoration, even considering they are not in perfect conditions. The Ancient Roman Agora is a two-level forum that was built over an ancient Greek agora. Archaeological excavations discovered it in 1966. It is not known how old exactly this forum is, but it must be at least 1500 years old. The ancient agora was built in the center of the city, according to the Roman model used in many provinces. It was used as the political, social and religious center of Thessaloniki for many years. Only the eastern side is uncovered. There are discoveries of mosaics, apses, water piping, coins, statues, among other objects of historical value. Don’t miss the hidden museum located underground! 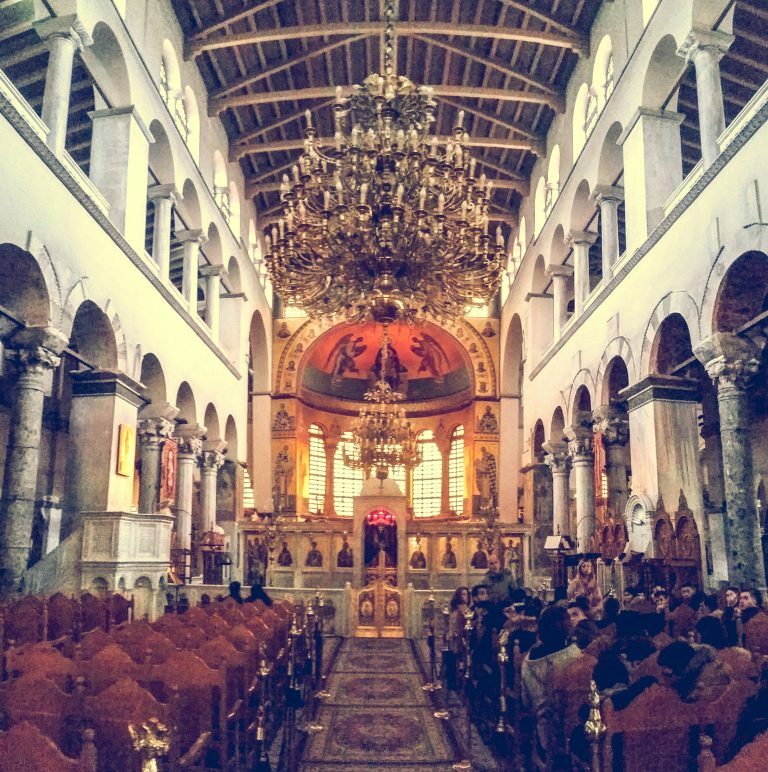 Agios Demetrios is considered the most important church of Thessaloniki. The temple is a perfect representation of Byzantine religious architecture of the early period of the Empire. It was built in the 7th century and has undergone many changes. The Ottomans turned it into a mosque and it was restored after the big fire of 1917. After the fire, many older mosaics from the 7th century were revealed. The church is also known because of its underground ancient crypt! It was re-discovered after the fire of 1917 and is now used as a museum. According to the Orthodox tradition, Saint Demetrios was imprisoned in this crypt and died in 303 AD. It’s a must when thinking what to do in Thessaloniki. If you are Turkish or you are a Turkish history enthusiast, you would probably like to pay a visit to Atatürk Museum. You can find the museum inside the Turkish consulate. The place used to be the house where Mustafa Kemal Ataturk was born and raised. He was the founder of the modern secular Republic of Turkey and is considered one of the most important personalities of the country. The museum is dedicated to his life and achievements. Because it’s inside the consulate, you first need to ring a bell, and then security will open the door. No entrance fee is charged. It is possible to walk between all the places that I have mentioned. However, they are not super close from each other. If you can’t walk that much or prefer not to, there are other options you might want to consider. Hop-on Hop-off Sightseeing Bus Tour – This bus allows you to stop in 8 main attractions, and go back to the bus when you finish exploring the place (goes by every 30 minutes). It is cheap and convenient, plus it includes an audio guide to explain the importance of each site. 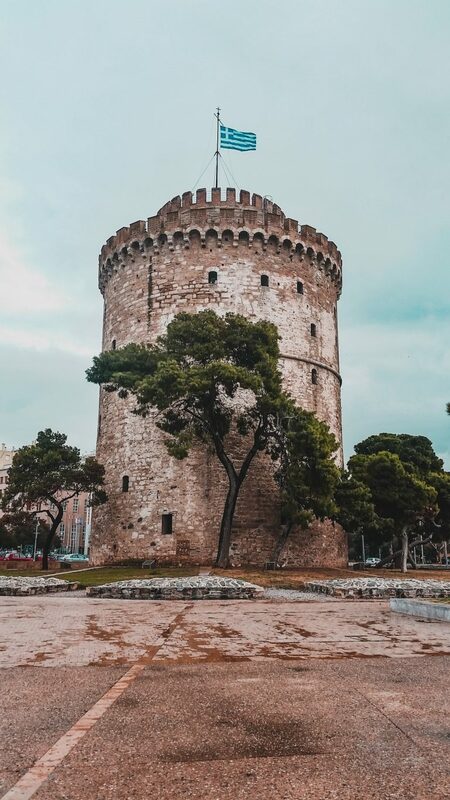 Half-day Tour to the main landmarks – The tour starts by picking you up from your hotel or Airbnb, and then takes you to all the major landmarks of Thessaloniki. Includes a professional tour guide so you can get a better understanding of the city. Located in Ladadika district, the restaurant offers the authentic Mediterranean and Greek cuisine in Thessaloniki. High School Pizza Bar, as the name suggests, is a casual restaurant specialized in pizza and fine wine varieties and cocktails. It is right in front of the sea promenade so the view is unbeatable. Especially known for its desserts and drinks, Kitchen Bar is inside the Harbor offering a spectacular view. The comfortable environment and beautiful decoration let you relax by the sea while experiencing great flavors. Walking food tour in the open market district – Learn the history of the open markets and the famous traditional Greek taverns. You will taste a variety of culinary treasures. Food and Culture Tour – Taste a wide variety of drinks and bites. Learn about Thessaloniki’s unique culture as you walk through ancient streets, and interact with local restaurateurs, and fellow food lovers. Convenient for solo travelers. It has shared and private rooms. Good location with breakfast included. Beautiful decoration and perfect location. Boutique hotel in the heart of the city. Great comfort and well-equipped rooms.